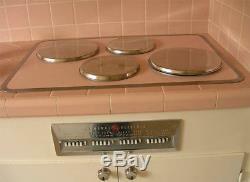 Extremely Rare Mid Century Kitchen Matching Appliances in Classic 1950's Pink. 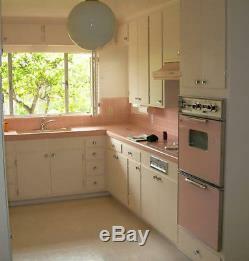 The first photo shows the kitchen they came from. 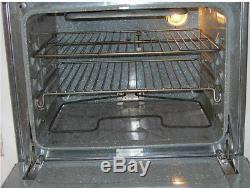 All appliances have been removed from this location and are ready to go (see last 4 photos). 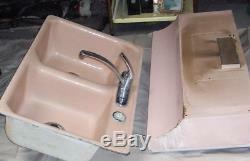 The photos show the amazing condition these are in. 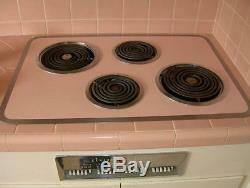 (The stove hood is pictured top and side that does not show when installed). 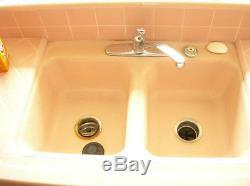 (The last 4 photos have the zoom feature for more detail). 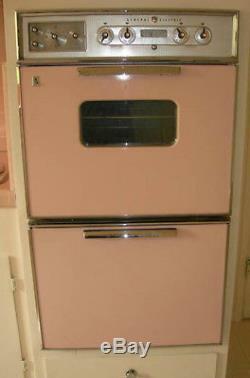 They work (worked as of the time they were removed from the kitchen pictured). 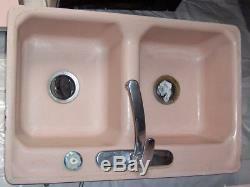 The only piece that shows any wear is the sink, but it is in very good condition. These are well covered and currently in storage. The winner will be thrilled. 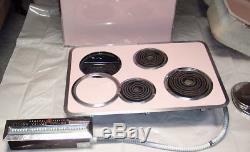 View all my items for sale. North American sales only please. 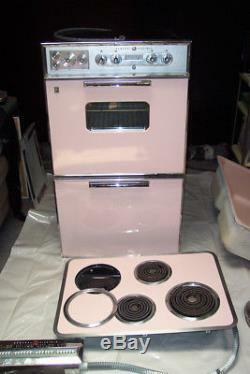 The item "Mid Century Matching Pink Kitchen Appliances Stove Oven Hood Sink Vintage MINT" is in sale since Wednesday, September 19, 2018. 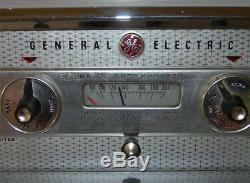 This item is in the category "Collectibles\Advertising\Household\Appliances". 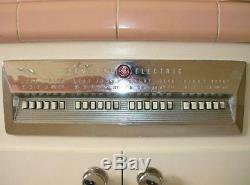 The seller is "atomic*ranch" and is located in Riverside, California. This item can be shipped to United States.